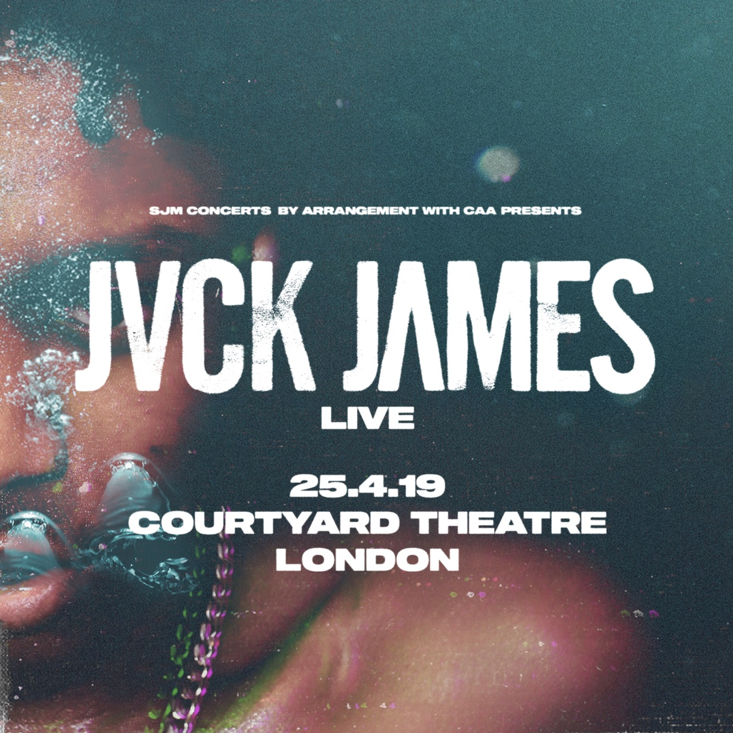 Today sees 20-year-old R&B up-and-comer JVCK JAMES announce his next headline show at The Courtyard in London on April 25th. The show goes on sale Friday 18th January at 9am and tickets will be available here. After the release of ‘Wave’ in December, Jvck started the year by hitting the road with 2018 breakout star Ella Mai and is currently touring with her around the UK and Europe - including two sold nights at Shepherd’s Bush Empire. 2018 had been an incredible year for Jvck, with four singles released, a sold-out London headline, a support tour with Brits Critic’s nominee Mahalia,heavy rotation on BBC’s 1Xtra and Radio 1 as well as critical acclaim from the likes of Noisey, i-D, Complex, Hunger, Brick Magazine and MTV. East London born & bred, 19-year-old Jvck James is already creating a buzz with his blend of Jamaican roots, soul and R&B, taking in influences from the 90’s greats such as D’Angelo & Lauren Hill whilst giving a nod to the likes of Khalid & Frank Ocean. Live he’s stands head and shoulders above his peers exuding pure confidence; watch his session for COLORS Berlin and in the BBC Live Lounge for DJ Target’s 1Xtra show. After previously working with the likes of Dre Skull (Rihanna, Drake), Di Genius (Drake - ‘Controlla’), Scribz Riley (Kendrick Lamar, Khalid), 169 (Dave) and Loxe (NAO), the ELAM graduate is hitting the new year with a wealth of fantastic new material and exciting plans in the works that are sure to make the next twelve months a pivotal time for the East London artist.